Pete Fraser Fitness Cotswolds is proud to deliver exclusive private fitness training and movement therapy direct to your door. Mayfair quality and professionalism in your Cotswold space of choice! Note: Prices quoted are for one off fully inclusive advance payments. They are non-refundable and must be paid in full before commencement of the programme. 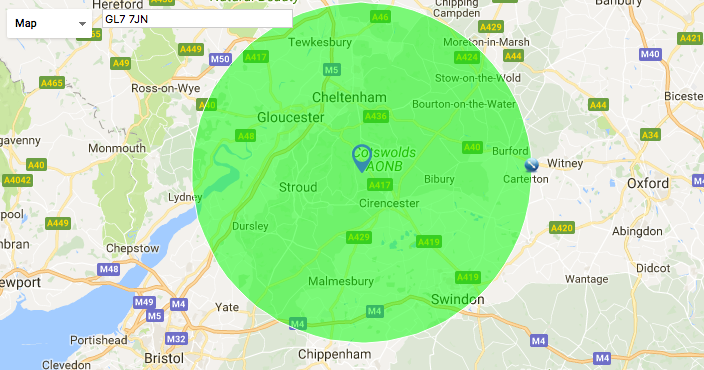 Pete Fraser Fitness exercise physiologists are available for home, work or outdoor location visits within a 20 min travel radius of our Cotswold base in the Duntisbournes, GL7. A small travel charge may apply, please check on your initial inquiry.